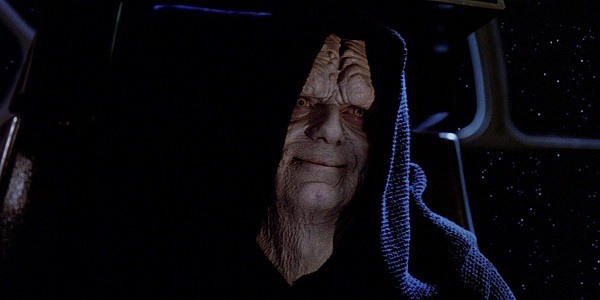 In what has been one of the biggest Star Wars twists since Darth Vader pulled a “who’s your daddy” on Luke in The Empire Strikes Back, Emperor Palpatine has been revealed to play a part in the drama that is Star Wars: The Rise Of Skywalker. While some have speculated we’ll see Palpatine in the form of a Sith force ghost or via recordings, I have reason to suspect he’ll actually be alive in the film. That’s right, “Papa Palpatine,” as he was referred to as in Robot Chicken, is either back in the land of the living or he never left in the first place. Believe it or not, there’s plenty of canon material and things we know about the character to support that, much of which can be found below. Start getting used to the idea, as these are all the reasons Emperor Palpatine is probably alive in Star Wars: The Rise of Skywalker. Take a look at some of the biggest Sith enemies in the Star Wars films and think back on how many bounced back from some incredible injury. There’s Darth Maul, who managed to bounce back from being sliced in half, and Anakin Skywalker, who lost most of his limbs and was burned alive. Even General Grievous somewhat counts, although technically he’s not really a Sith, just an organic cyborg with impressive lightsaber skills. The point is the Sith’s hatred, for all its downsides, seems to be a superpower, in that it fuels their will to survive. Few Sith hated or channeled the Dark Side as much as Palpatine, so it’s hard to believe even in his advanced age that he was completely unable to bounce back like the Sith before him. Let’s also remember he was only thrown down a very large hole. Sure there’s was an explosion towards the end that implied he collided with some energy source and was vaporized, but maybe that was some advanced illusion or tactic to protect his body. Clearly his plan had failed, so it makes sense he’d fake his death and perhaps try again three decades later. This is a rather recent development in the Sith lore, which comes to us courtesy of Marvel Comics’ Darth Vader comics. 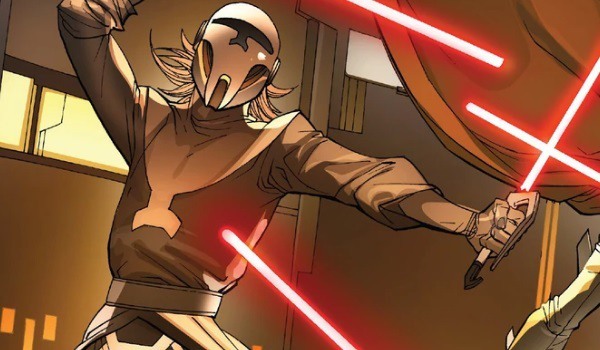 There, readers learned of Momin, a Sith who had unlocked some of the secrets behind returning from death back to the world of the living as a Sith. He does this via his dark essence, which lingers in the helmet he wore when he was alive. Through the helmet, Momin was able to possess the bodies of others who donned it and live on through them. It’s also worth noting Momin discovered a way to open the door to the ethereal plane, which Vader used in an attempt to bring Padme back to life. Vader was ultimately unsuccessful, although Momin used the door to the Dark Side to bring his original body back to the land of the living. This new Star Wars story isn’t just important because it shows Sith returning from the dead, but also because it establishes that Momin’s studies were known of by Palpatine. After he was killed by Vader, Momin’s mask was stored on Darth Sidious’ private yacht. So the Emperor may have studied Momin’s methods and worked out a way to achieve a similar artifact with his essence. One downside of this tactic, of course, is that someone would need to don Palpatine’s artifact for him to possess and assume their form. With that said, it appears a significant chunk of the Death Star survived that fall, which could mean a small community of stormtroopers survived as well. This is just speculation, but say this method was utilized and there were surviving stormtroopers. Palpatine could have kept on living despite his death through host soldiers. It’s an exciting thought, imagining a cult of the Empire still hanging on in a brave new world, but largely separated from the war at large. He could be in hiding or simply waiting until one side has emerged as a victor so he can infiltrate and begin his next reign all over again. Man, wouldn’t that be a kick in the teeth? Ok, so we know Disney isn’t about to open up the can of worms and start making all parts of the former expanded Star Wars universe canon, but there has been some things that have returned. Grand Admiral Thrawn is one big example, and it’s possible the Emperor’s clone contingency plan could make a return as well. For those who are unfamiliar, Emperor Palpatine had a cloning facility explicitly built for the purpose of transferring his essence into a new body should he be killed. The Emperor was successfully transferred over to clones, although his immense power meant he had a tendency to burn through the bodies rather quickly. It wasn’t ideal, but it allowed him to keep on living indefinitely, which he then used to attempt and regain his former power. 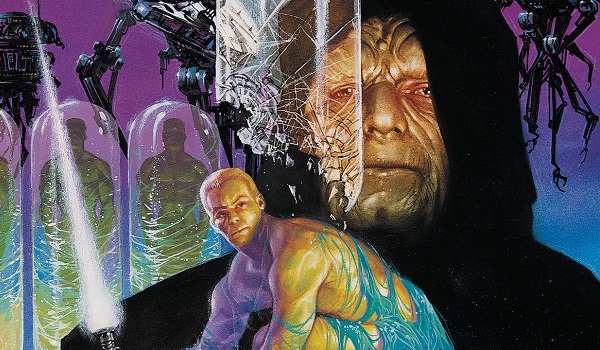 While Dark Horse’s early ’90s Dark Empire run is no longer canon, it’s worth wondering if Star Wars is looking to it for inspiration as it seeks to wrap up the Skywalker Saga. This series is notable not just for the Emperor’s cloning, but for its inclusion of Han and Leia’s son, although his name is Anakin and not Ben. It also featured the return of Boba Fett, which a recent Star Wars tale has implied is alive once again. Are these all just coincidences or the foundation that Star Wars: The Rise of Skywalker has based its story on? Again, there’s a precedence of Star Wars cherry picking past Legends stories and tweaking them in a way that makes sense for the new canon. With cloning established as a viable technology in the Prequel Trilogy, this would be a great way to bring those films into the mix and strengthen this saga’s connection even further. These are just some of the ways Palpatine can return, and while something like a Force ghost, flashbacks or holocron recordings are a possibility, it would be so much cooler to see him return in the flesh. 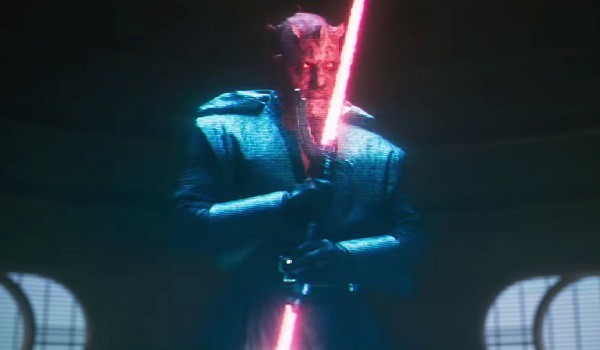 Would Rey be able to stand against such a powerful Sith lord in battle? What about Kylo Ren? I don’t have the answers, but it’d be cool to see a battle between the three to find out! Those with other ideas on how Palpatine will return can sound off in the comments below, or vote in our poll on whether they think he’ll return from the dead or not. We’ll find out in Star Wars: The Rise of Skywalker, which is in theaters Friday, December 20. Is Emperor Palpatine Alive In Star Wars: The Rise Of Skywalker?